Alaina Varrone is an embroidery artist based in New Haven, Connecticut in the United States. 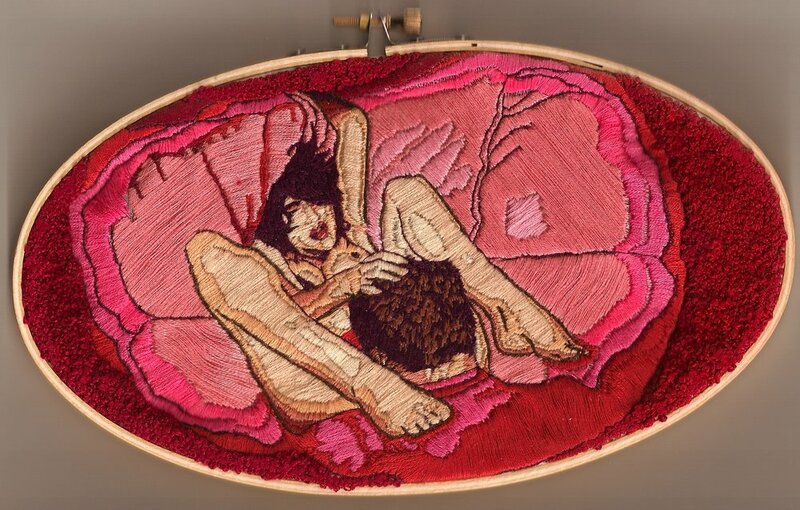 She uses imagery from her own life to influence her fiber works. 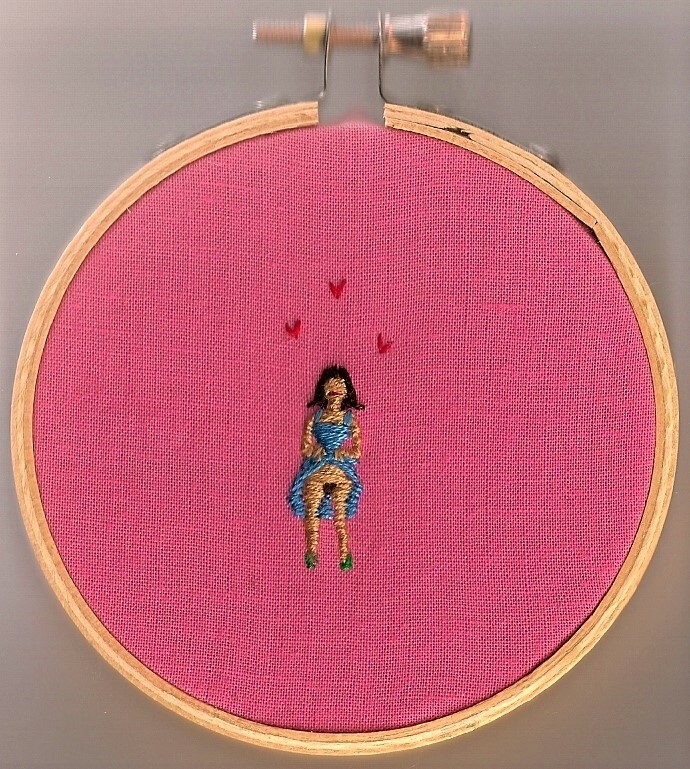 Through the thread, the embroidery hoop, and the chosen fabric, Varrone conveys a sense of rambunctious femininity, youth, and friendship in each art piece, just inches across. The detail achieved with a needle and thread is incredible. She is influenced by the process, history, and strong female characters and we can't wait to see what she does next. Learn more about Varrone on her website and follow her on instagram to view hundreds more of her embroidery artworks.